After graduating from the University of Western Ontario in pharmacology / toxicology, Dr. Granton completed medical school at McMaster University. He pursued training in internal medicine, respiratory medicine, and critical care at the University of Toronto and completed research training at the University of British Columbia. He is the head of Respirology at University Health Network, Mount Sinai Hospital and Women’s College Hospital. He is a consultant in respirology and critical care at the Toronto General Hospital and Professor of Medicine at the University of Toronto. He established and remains the director of the pulmonary hypertension (PH) program at the University Health Network. He is past chair of the Ontario Thoracic Society and Past President of the Canadian Critical Care Society. 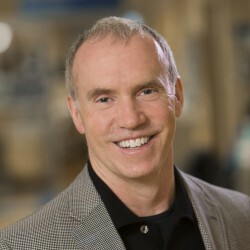 He is past chair of the board of the Ontario Lung Association, executive member of the Canadian Thoracic Society and chair of the national fundraising advisory committee for the Canadian Lung Association. His hospital administrative activities include chair of the Pharmacy and Therapeutics committee and president of the Medical Staff Association. His research interests are in pulmonary hypertension, and critical illness. He has published in several prominent journals including JAMA, NEJM, American Journal of Respiratory and Critical Care Medicine and the American Journal of Respiratory and Cell Biology. Hoeper MM, Granton J. ICU management of patients with severe pulmonary hypertension and right heart failure. Am J Resp Crit Care Med. 2011 Nov 15;184(10):1114-24. Co-Principal Author. Russell JA, Walley KR, Singer J, Gordon AC, Hebert PC, Cooper JD, Holmes CL, Mehta S, Granton JT, Storms MM, Cook DJ, Presneill JJ, Ayers D, for the VASST Investigators. Vasopressin versus norepinephrine infusion in patients with septic shock. N Engl J Med. 2008 Feb;358(9):877-87. Co-Investigator. Granton J, Moric J. Pulmonary vasodilators–treating the right ventricle. Anesthesiol Clin. 2008;26:337-53 (Trainee publication, Dr. Moric was a resident in respirology). Senior Responsible Author. Nazzareno Galiè,MD, Maurice Beghetti, MD, Michael A.Gatzoulis, MD, John Granton, MD, Rolf MF Berger, MD, Andrea Laurer PhD, Eleonora Chiossi, MSc, Michael Landzberg, MD, on behalf of the BREATHE-5 Investigators. Bosentan therapy in patients with Eisenmenger syndrome: a multi- centre, double-blind randomized placebo-controlled study. Circulation. 2006 Jul 4;114(1):48-54. Co-author and member of sterring committee. Meade M, Granton J, Matte-Martyn A, McRae K, Dripps PM, Weaver B, Keshavjee SH. A randomized trial of inhaled nitric oxide to prevent reperfusion injury following lung transplantation. Am J Respir Critical Care Med. 2003 Jun;167(11):1483-9 (Trainee publication, Maureen Meade, Critical Care medicine resident / fellowship). Senior Responsible Author.